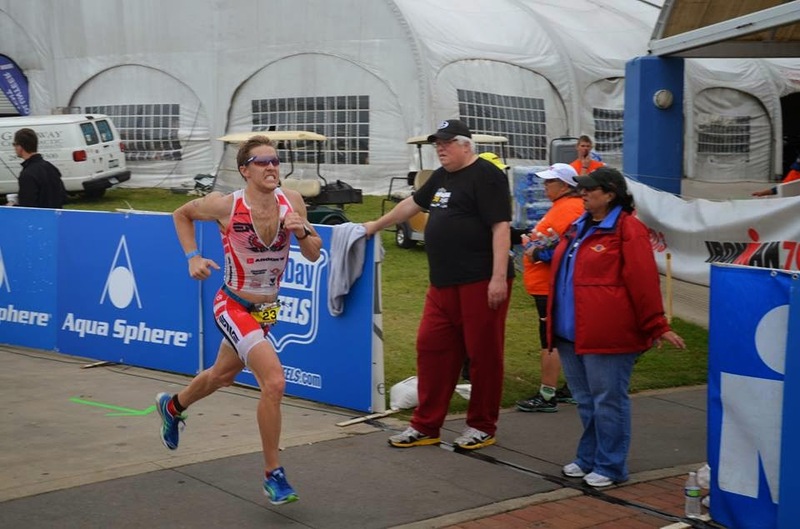 So it turns out that racing half-iron distance back-to-back weekends is doable after all! Well, other than the fact that my body seems to have rejected the crazy workload that I put on it, and is letting me know about it via this sickness that I've been dealing with the last few days. Or maybe what I have is just the worst allergies known to mankind...either way, I've been feeling a bit rough ever since the race. But the race went very well, and I am prepared to let you know all about it! Kimberly and I had the great pleasure of spending the weekend with our good friends Allie and Felipe Garcia. We traveled to Galveston together, hung out all day Saturday, and they were my loudest and proudest supporters during the race. In fact, they've been there for pretty much all my big races...all 4 iron-distance races - from Redman to Kona! 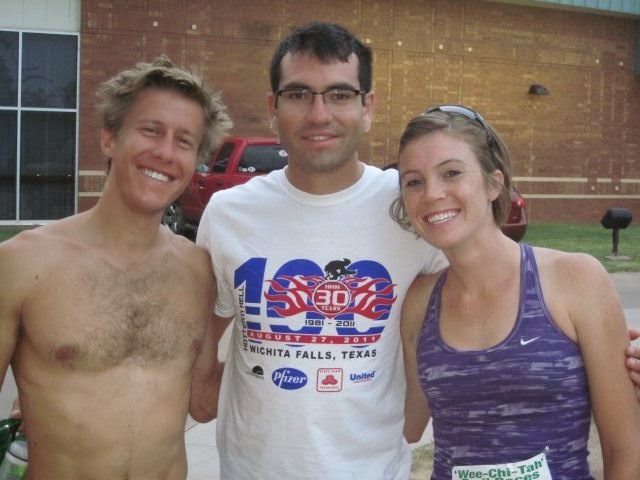 Here's a throwback pic to my first iron-distance race (Redman in Oklahoma City - September '09). So we left Tyler at about 5 PM on Friday, and after a late dinner at Grimaldi's on The Woodlands waterway (the finish line of Ironman Texas next month! ), we arrived in Galveston around midnight. Slept in Saturday, then got an easy ride/run in with Brad Williams (who had an insanely fast bike - and race in general - on Sunday!). Then we worked our way over to Moody Gardens for the athlete check-in and my first ever pro meeting! Everyone at the meeting was a little freaked out about the possibility of bad weather changing the triathlon...it was pretty interesting. Got to talk a little race strategy with my teammate Matt Hanson, and chatted with fellow pros Todd Teren and Cody Beals. After a very nice dinner with Kimbo and the Garcias, I was off to bed. T1 went OK....should've been faster though. I've come to realize that 70.3 races with the elite/pro wave feel about as rushed as a sprint triathlon. These dudes nail their transitions, and that is definitely something I need to work on. 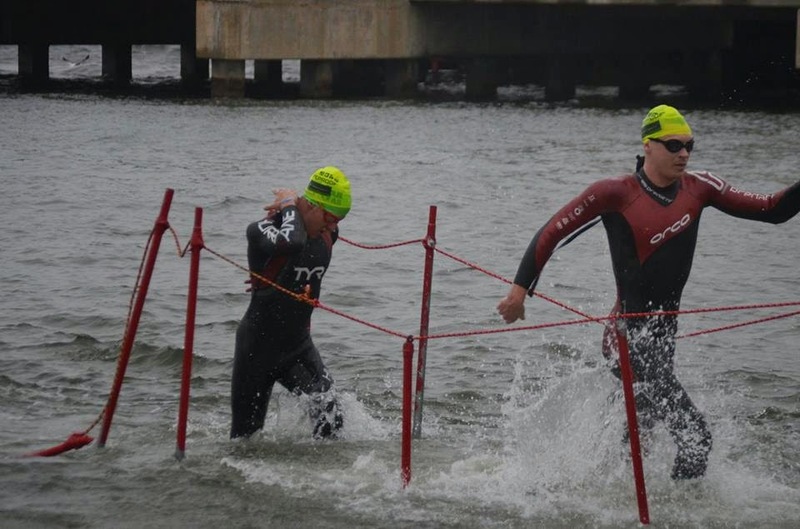 In spite of what I thought was a decent transition, I found myself trailing most of the pack that I came out of the water with. After a few miles of zigging and zagging on the bike, we got onto the seawall blvd and started cruising with a massive tailwind. The first half of the bike was a breeze, literally, and we paid for it the second half. Average speed was 30+ mph on the first half and 21 mph on the second. My Argon 18 bike rode like a champ, and I think flat surfaces made my Rotor Q-rings that much more advantageous. And the ENVE 8.9 wheels handled the wind quite well...they cut through the headwind and were manageable in head, tail and cross - which we experienced some of on the way back when the wind seemed to be coming from the gulf. 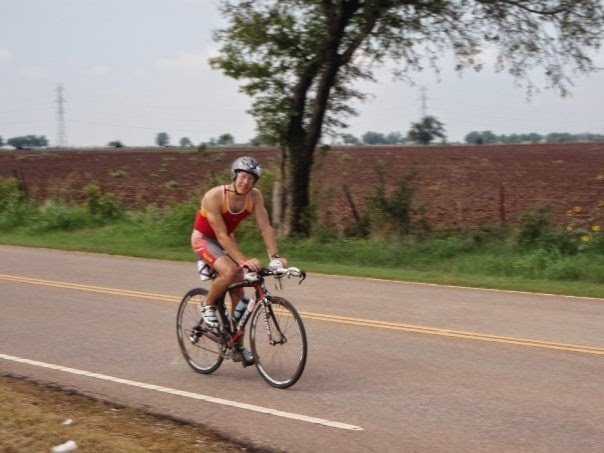 Over all though, I believe that I'm better suited for a bike course with some climbing and some heat, and for that reason I'm looking forward to IMTX and IMLOU....truly think those bike courses will suit me better than a flat/windy half-iron course like this. Still happy with my bike split though! Onto the run! T2 went pretty well for me - even compared to the other pros. The run course features a couple out and back sections, and as I set off at a 5:30/mile pace, I was able to tell that I wasn't in Kansas any more (so to speak) and what felt like a solid swim/bike still had me in a pretty big deficit compared to these guys! I started the run in 24th place amongst the pros, and saw them flying at a similarly fast pace in the other direction. So I held onto my run pace, knowing I couldn't really go any faster, and just hoping that at least some of the guys slowed down and I could catch them. I reeled in 1 or 2 during the first lap, and was beginning to think that every single pro was going to cruise at 5:30 pace the whole run....but lo and behold, about halfway through the 2nd lap (3 lap run), I started picking them off. This continued through the rest of the run, and I continued to be able to hold onto my 5:30/miles... they got more and more painful though! I ended up finishing my run with a 5:34 pace, and had moved from 24th to 11th place during the run! 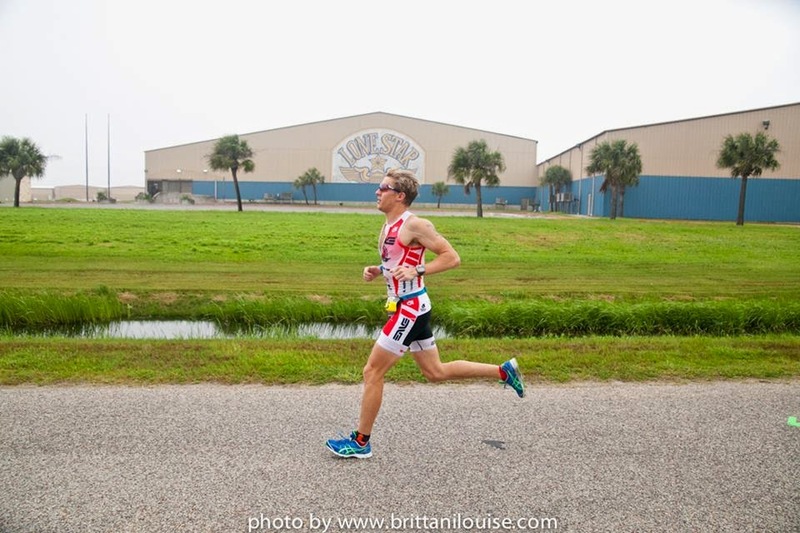 Total time was 3:56:46, and I was very pleased with going under 4 hours (and taking 17 minutes off my previous 70.3 PR)! My teammate, Matt Hanson, finished 3 minutes ahead of me, and took 8th overall! 3rd fastest run split of the day! After the race, I had some issues with dehydration...so, sadly, I wasn't able to watch many of my Tyler friends on the run. I wanted to be there to cheer them on, and had looked forward to that all weekend. But I guess even though it wasn't that hot, it was still very humid, and I should've been drinking more water during the run. 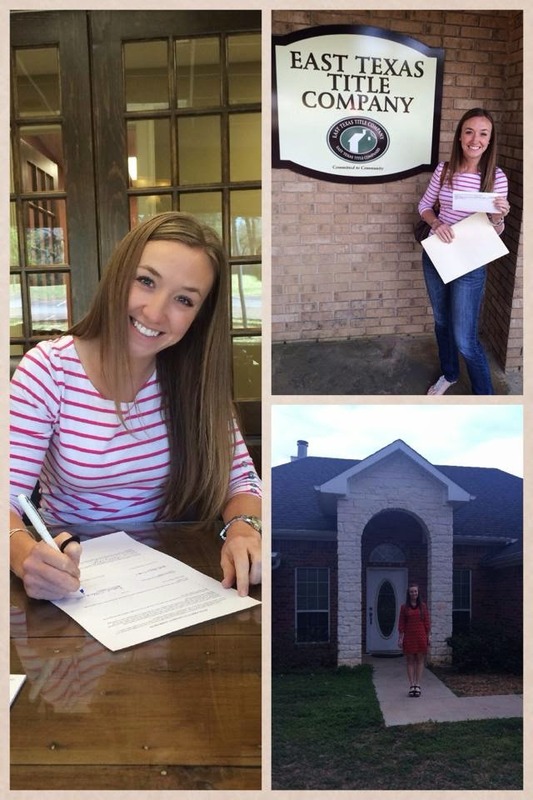 Nevertheless, I was thrilled to hear about the results of all the Tyler people (and there were many!). 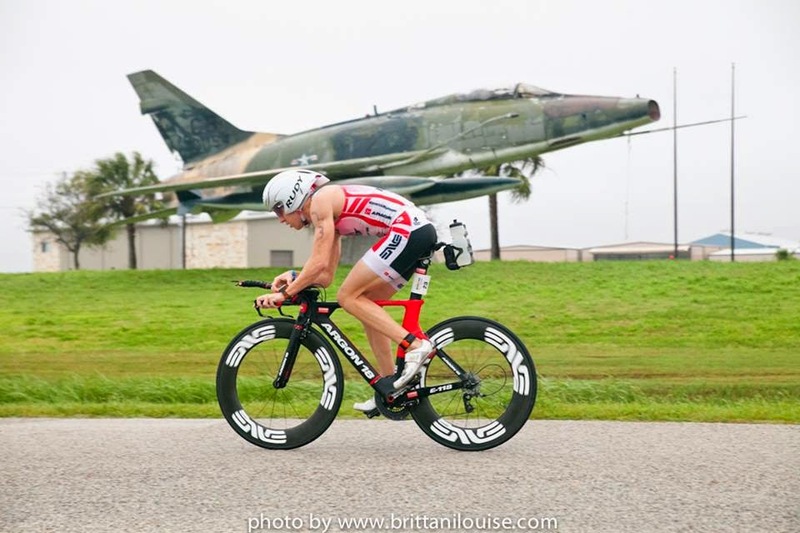 Dan Willson crushed it (esp the bike!) and earned a slot to the 70.3 World Championships in Mont Tremblant! Mike and Rebecca both did awesome, and they did even more awesome a couple days later when they got engaged! Jonathan (x2), Jason, Ryan, Cori, Ted, Lisa, Altina and Jenny all had great races too!